Mike Rambour has an extensive farm background and understands the specialized needs of the farming community. 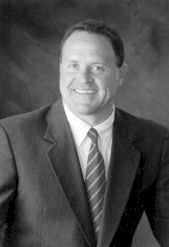 He serves the company’s clients as a licensed property, casualty and life insurance agent. Why Should Farmers Buy Their Insurance Through an Agriculture Specialist? Recently, two University of Purdue experts – Fred Whitford, coordinator of Purdue Pesticide Programs, and Stephen Lovejoy, professor of agricultural economics – warned farmers that they probably do not have the necessary insurance for today’s farm. Why? Over the past 20 years, most insurance companies have added an exclusion for environmental matter. When the increased usage of farm chemicals is considered along with the complexity of environmental regulations, many farmers are not well-protected regarding chemical spills, fires where chemicals are involved, accidents in transportation of chemicals and more. Adding to the problem is that many insurance agents are not familiar with these specific needs that farmers have and may therefore leave them without coverage they need. The solution? Farmers should buy their insurance and seek advice from an agent who knows farming. The above situation is only one of many that is applicable to farming. Therefore, please consider Mike Rambour’s combination of agriculture and insurance skills that can meet the needs of today’s farmers.